I watched the old BBC version with Sir Alec Guinness in my childhood. Soon after I had my first experience with Eastern Germany, en route to West Berlin. Luckily Le Carré had prepared me for terror and intimidation! 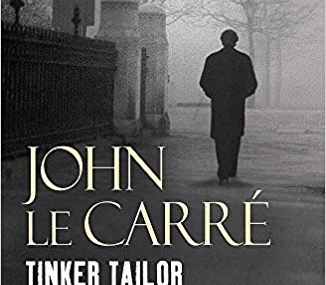 Still, it terrified me and intensified my respect for Le Carré (the pen name of Bernard Cornwell)…. All About Cover Art – Which Is Your Favourite?